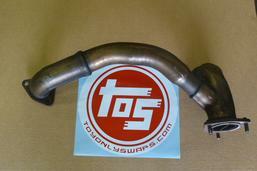 We do not modify the 99/00 California Emissions or 01-04 style crossover pipes, We do offer custom built exhaust crossover pipes for this style cost is $375 see details below. 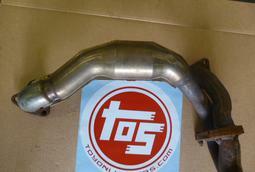 99-00 Cal Emissions / 01-04 3.4 crossover pipe we do not modify this style of crossover pipe. 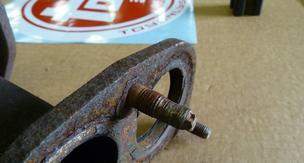 We do not fix your stripped out or broken exhaust studs. 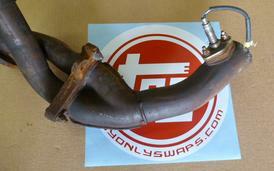 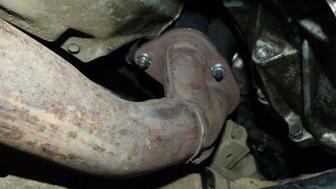 Kick down pipe installed and welded to your current exhaust system. 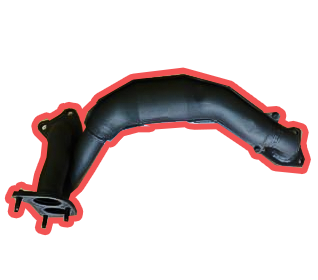 Ship us your 3.4 crossover pipe with your contact information, when received we will get your order in line, once complete we will contact you for payment Or make payment in advance by adding to cart, paying, and then ship us your 3.4 pipe for modification. 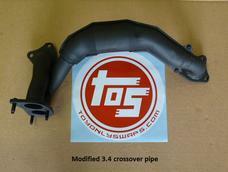 3.4 Crossover pipe core charge $100 Contact us first to check core availability.